Members have access to the studio 7-days a week. 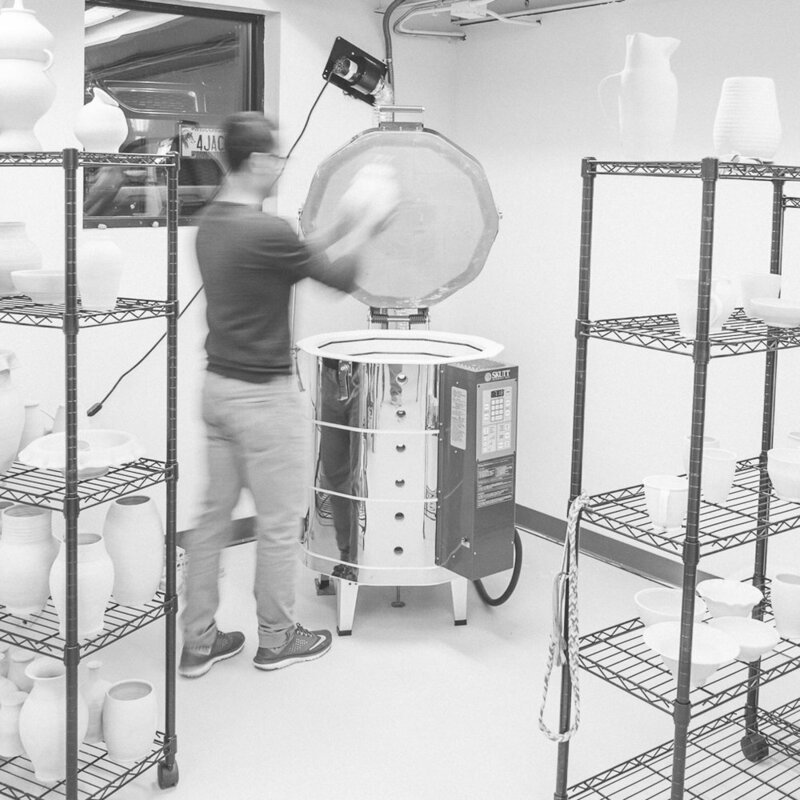 Members have full access to the studio, including 8 wheels, tools, and an electric kiln (member will not be allow to operate the kiln). Memberships include individual shelf & storage space. ***Members must be at least 18 years old. Membership Fee: $90 for monthly payment, Second membership from the same house hold will be $59 per month. Completion of a Beginner Wheel Class is required for new memberships & current students will get one month discounted membership for $50, clay must be purchased separately. Sign up will take place in studio, reoccurring payments will be setup after the first month. To cancel your membership, shoot us an email at dongzhupotterystudio@gmail.com. You can cancel anytime. Members must purchase clay in studio, outside clay is not allowed! Members must attempt to make payment within a week for Clay Purchase. Glaze, loading and unloading is included with purchase of clay for a standard $35. You will receive 25 LBS of clay for $35. Members have free access to Dongzhu Studio Day workshops and Special Presentations. Members will have the opportunity to be highlighted on Dongzhu website and social media. At Dongzhu we very much appreciate a clean studio and that is why we ask you, Members, to thoroughly clean up your own space and help other when needed. -Clean wheels, buckets, and tools. Also wipe down all surfaces and sweep the studio. Dongzhu Pottery Studio - Member of the Month!